Learning how to throw a sinker is a good idea for young pitchers. It is an easy pitch to learn and it doesn’t put much stress on the arm. And once you learn the proper grip and release, it’s a great groundball pitch. The sinker is very much like the two seam fastball. In fact, the pitching grips can be the same. It is the pressure point upon release that is different. I will give you the details on that down below. First I want to point out a couple of thimgs before I tell you how to throw a sinker. The only drawback to the sinker is if you throw the pitch up, it won’t break or drop. The sinker has to be started at the belt line or lower. You have probably heard of a hanging curveball, well sometimes it is actually a hanging sinker. If you have pretty good location control with your pitches, then you will probably do well with the sinker. But if you have a tendency to leave a pitch up, then you might want to check out the slider or curveball. 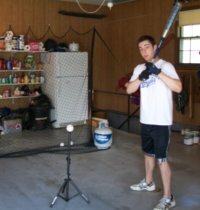 Leaving the sinker up in the strike zone is like throwing batting practice. The action of the sinker is straight down. The pitch is typically five or six miles per hours slower than a fastball. The batter’s eyes light up when he thinks he sees your fastball and now it is coming in at a hittable speed. 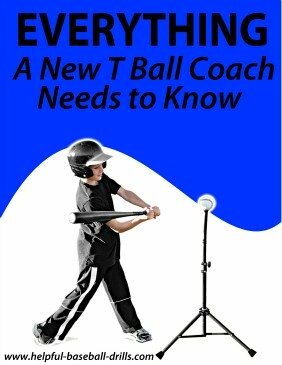 He loads up and takes a mighty swing just as the late breaking sinker drops below his bat. Now it is time to learn how to throw a sinker. Like I said above, start out using the same pitching grip as the two seam fastball. 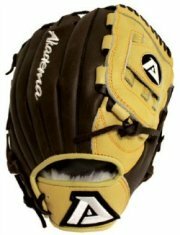 I have even used the same picture for the two seam grip and the sinker’s grip. Place your index and middle fingers over the seams where the seams are the closest together. With the sinker you could try placing the index and middle fingers on the outside edge of the seams. This has helped some of our pitchers to get more breaking action. And the thumb rests directly underneath these two fingers in the open area on the baseball. 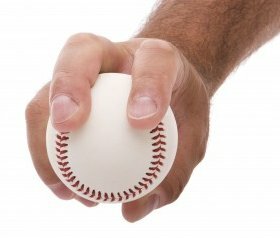 Keeping the thumb directly below the fingers on the baseball helps to keep your wrist and elbow from twisting upon release. The grip of any pitch, but especially breaking ball pitches, is very important. And like all your pitches, play around with this grip and find the one that works best for you. You want a grip that sinks and is easy on your arm. How to throw a sinker can be different for every pitcher. The second part of throwing the sinker is the release. With the sinker your grip of the baseball is a little bit firmer. This will help cause more friction against the air and result in greater breaking action. Once you have the grip and release figured out it is time to learn how to throw the sinker. 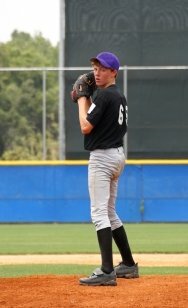 This is what makes the sinker a great pitch for young pitchers. You throw the sinker with the same arm motion and same arm speed as a fastball. Throw the pitch right over the top, and that is very important. You want to do what they call “staying on top of the ball”. Coming over the top with your arm allows you to put more pressure straight down on the ball with your fingers. When throwing the two seam fastball you try to apply more pressure with your index finger. With the sinker you try to apply more pressure with the middle finger. This is what makes the sinker react differently than the two seam fastball. The sinker breaks straight down where the two seam fastball breaks down and in. What is great about the sinker is you can know it from straight over the top. There is no cocking of the wrist involved at all. Trying to apply the most pressure with the middle finger keeps the arm flowing in a natural motion, and less likely of an arm injury. Everyone’s hand size, length of fingers and arm strength is different. All those factors help determine how you should throw the sinker. Therefore, practice and experiment with your pitching grip. Only you can come up with just the right grip for you. 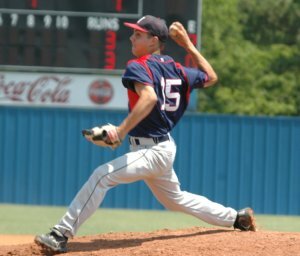 Practice and perfect the sinker and you will have added a great pitch to your pitching selections. Good luck and keep working hard.